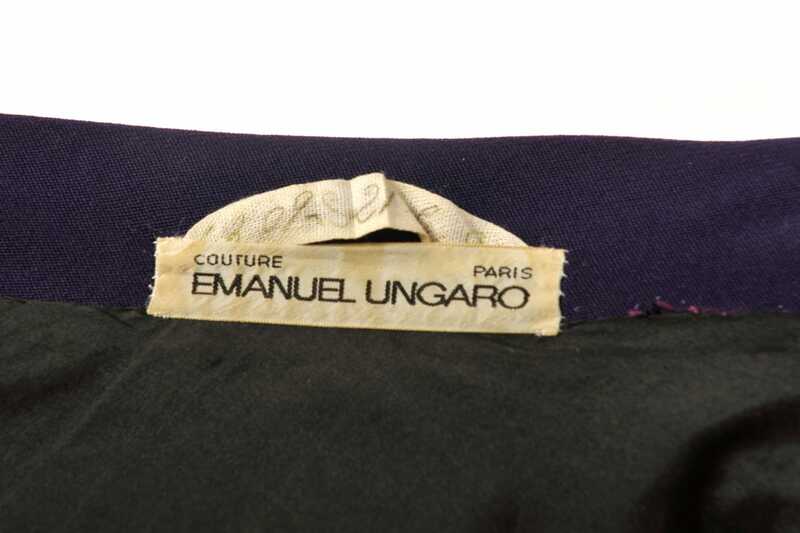 This cocktail dress is made of high quality wool by Emanuel Ungaro. 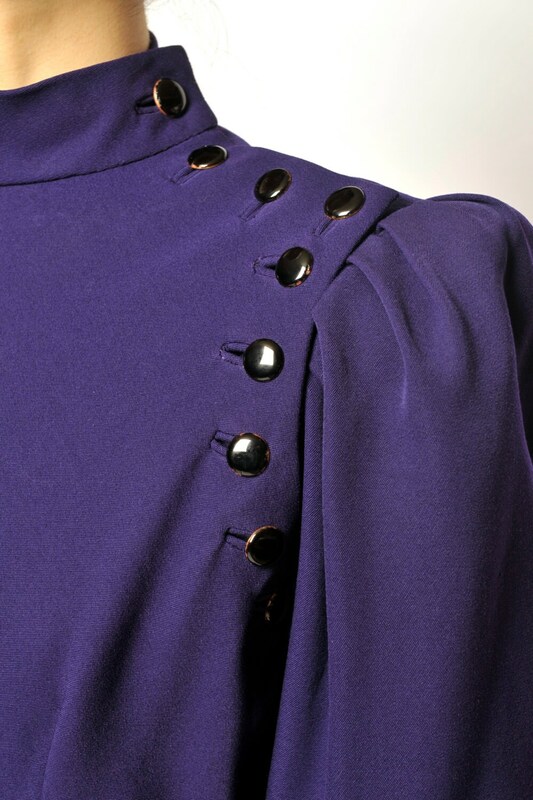 The features are 2 colors make diagonal line, the beautiful puff sleeves, the protruding pockets on the side, the buttons on the left shoulder and the arms. Good ; some of the buttons are discolored as seen on the last picture.